Ford is going all out in Las Vegas next month. SEMA is just around the corner and automakers are gearing up to unveil their usual crop of customized models. 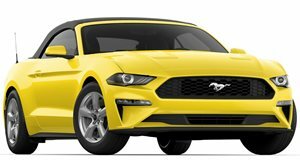 Like Hyundai and Honda, Ford is one of the mainstream brands that’s invested heavily in SEMA in recent years, so it’s no surprise that a small stable of unique Mustangs will be making an appearance in Las Vegas. Ford has just revealed these teaser Mustang images along with a couple of custom Fusions. The first car is a 2017 Mustang GT concept that’s been modified by VMP Performance. A new 2.3-liter supercharger has been added for a total of 851 hp and 703 lb-ft of torque. It’s painted in jet fighter grey with matte black wheels and even a pin-up girl next to the front wheel. Other Mustangs include Stitchcraft’s Pearl Candy Orange convertible concept, and Speedkore’s Mustang GT featuring a carbon fiber body kit, carbon ceramic brakes and Whipple supercharger increasing output to 825 hp. 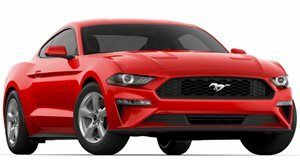 There’s also MRT’s blacked-out Mustang EcoBoost with custom Candy Cherry paint accents, and CJ Pony Part’s own Mustang EcoBoost concept in Stealth Gray paint with Acid Green trim and new stainless steel exhaust. If you’re looking for some throwback action, there’s the 1966 Mustang GT350 by Revology Cars, a licensed reproduction powered by the 5.0-liter V8. As for the Fusions that’ll appear, we know of at least two, including a 2017 Fusion Sport concept from Webasto Thermo & Comfort North America. It features Kevlar components and Ballistic White paint. 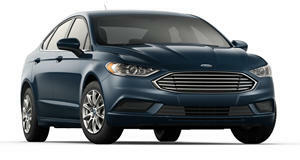 The second Fusion comes from Legacy Innovation with a custom made carbon fiber hood. All told, more than 50 Ford models, including F-150s, will be on display at SEMA and we’ll have more coverage for you from Vegas beginning on November 1.